In Seattle, people are making podcasts about local theater, the city’s past and future, book publishing and parenthood. Keep reading to learn about how eight local podcasts got started, the benefits of audio and their creators’ advice for new podcasters. About the show: Created in 2010 by Aaron and Mairead Roden, the Air-Raid Podcast initially consisted of conversations with the couple’s friends. As listeners increased during its second year, the podcast grew to include musicians, comedians and other celebrities. In 2016, guests included Jane Lynch, John Carpenter and Iron and Wine’s Sam Beam. Origin story: Aaron Roden was in a local band and an avid podcast listener before he started Air-Raid. When the band broke up, he was searching for a new project. Why audio: Roden already knew how to use recording equipment from his time with the band. “It seemed like a natural path to take,” he said. 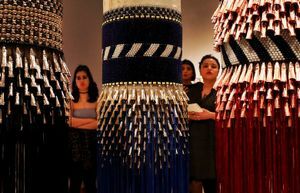 Advice: “Be consistent,” Roden said. Unless you’re supported by a radio station, you may not have many listeners during your first month or year. Publishing something once a week, on the same day at the same time, can help you build an audience. About the show: Marlo Mack hosts this podcast about raising her transgender daughter and the legal, social and emotional challenges that come with it. Mack, who uses a pseudonym to protect her daughter’s identity, candidly discusses her hopes and fears regarding school, being a teenager, North Carolina’s bathroom bill and more. Origin story: Mack began recording her daughter when she was a baby. Mack joined a local radio club, where she learned more about audio production. She produced the podcast independently for two years before receiving support from KUOW. She still does all the recording and editing herself. Advice: “It’s so much easier than you think,” Mack said. Free audio-editing software like Audacity is available online, and Mack records many of her podcasts using an iPhone. Mack said everyone has a story worth sharing in a podcast. About the show: Since 2007, the Dirtbag Diaries has produced over 150 episodes filled with stories of being outdoors. Some submissions are short essays read aloud by listeners, while others are longer stories with narration and interviews. Episodes have covered sleeping alone in the woods, Greenpeace activists and spending retirement money on a whitewater raft. Origin story: In 2007, Fitz Cahall was writing for outdoor magazines. He wanted to tell different stories than the ones his editors were interested in, so he and his wife started a podcast. They began including listener submissions a year and a half later. About the show: “Our podcast explores the writing process by telling behind-the-scenes stories that matter,” said Devon Frederickson, the producer of this podcast from Girl Friday Productions. Episodes have covered making the perfect pitch to a book publisher, the history of the publishing industry, writing in prison and why certain fictional characters have remained culturally significant. Origin story: Frederickson studied journalism in college and works in the publishing industry. She enjoyed listening to podcasts about writing, but she felt something was missing. Why audio: Frederickson said podcasts allow you to take a break from reading text and listen to stories when it’s convenient for you, whether it’s during your commute to work or when you’re home washing dishes. About the show: Hosts Monica Rickman and Malik Olanrewaju, who go by Smurf and Frank Massachusetts on the podcast, discuss hip-hop, pop culture and more every week. Topics range from clubbing to first dates to the “Seattle Freeze” to the Black Lives Matter movement. 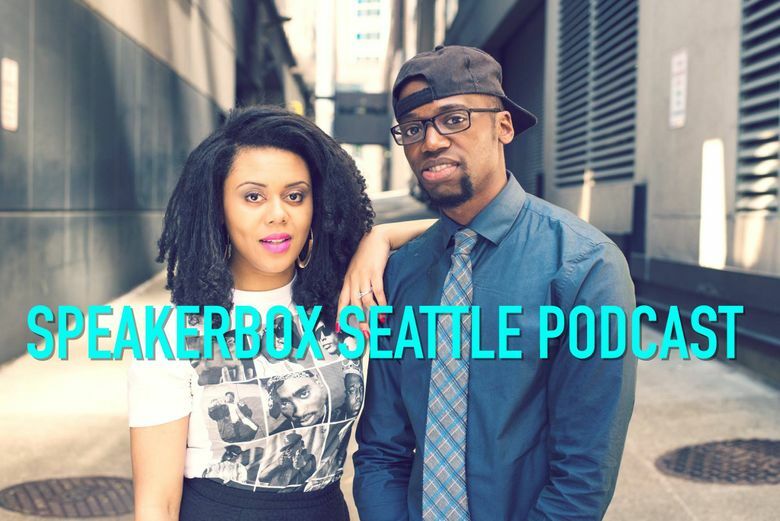 “Speakerbox Seattle Podcast helps ordinary people identify and eliminate nonsense from their daily lives,” Olanrewaju said. Origin story: Rickman and Olanrewaju met at a dance battle in college, started talking about hip-hop, and quickly became friends. Olanrewaju had experience in musical engineering, and Rickman came up with the idea of starting a podcast. They both wanted to share a new perspective from the African-American community. Olanrewaju said he and Rickman wanted to create the kind of podcast that felt like a conversation with a close friend. “If you want to have a conversation about relationships, or a conversation about Black Lives Matter, you can tune in and listen to us and chime in,” he said. 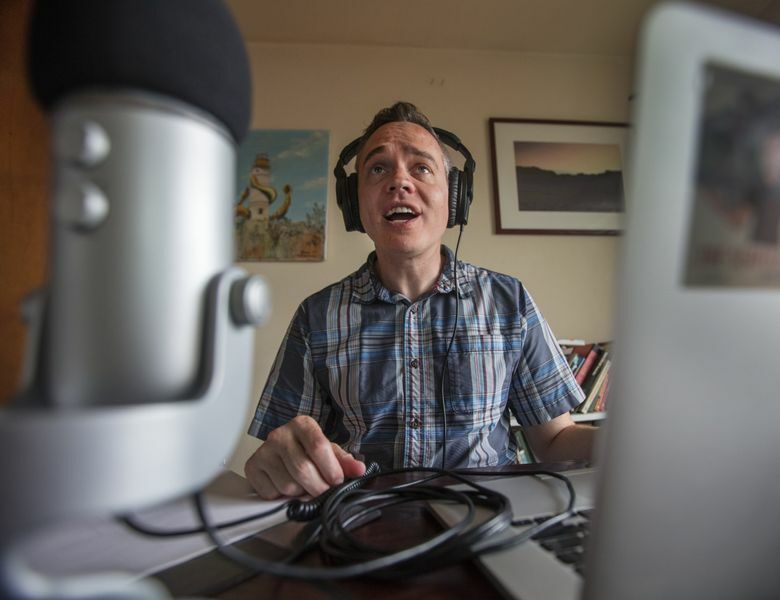 About the show: Chris Allen spends each episode of this podcast talking with a local comedian about Seattle history. Topics have included Seattle’s first major baseball team, Bigfoot, the Seattle General Strike and Donald Trump’s grandfather. “My favorite stories are the ones where it’s a small story about a small group of people, but it’s indicative of a larger trend that was going on in the world at the time,” Allen said. Origin story: Allen has worked as a tour guide in Seattle for several years, first at the underground tour and currently at Seattle Free Walking Tours. He’s also been performing as a comedian for 10 years. “It seemed like the perfect way to combine those two interests,” Allen said. He started researching stories and got a group of friends together to record conversations about them. After a few trial runs, he produced 10 episodes, a friend wrote a theme song and another friend created a website. Advice: Allen said many people want to start podcasts made up of conversations with their friends. Though those can be interesting, he said, it’s good to consider what listeners will want to hear. “Have something you really care about and something specific you want to talk about,” he said. About the show: Now in its second season, the Seattle Growth Podcast examines the effects of Seattle’s physical and economic changes. University of Washington marketing professor Jeff Shulman interviews experts and everyday citizens about housing affordability, the tech industry, the KeyArena remodel and more. Why audio: “Everybody’s got their story to tell,” Shulman said. He said audio allows interview subjects to share those stories in their own words and helps listeners connect to them more personally. About the show: In each episode of this bimonthly podcast, Rachel Belle asks a celebrity what his or her last meal would be and then traces the history of that meal. Belle has talked to Heart’s Ann Wilson about Kentucky Fried Chicken, Top Chef winner Brooke Williamson about doughnuts and The Stranger’s Dan Savage about peanut butter and jelly sandwiches. Origin story: While doing research for a news story over 10 years ago, Belle came across a website listing the last meals of people who had been executed in Texas. Belle wanted to do a project related to last meals, and when KIRO called for podcast pitches, she saw her opportunity. Advice: “Even if you have a great concept and you’re a good host, it won’t sound very professional if you don’t have good-quality sound,” Belle said. But people without past experience in audio production can still produce great podcasts.